Weedy in habit in its native Eurasian range, occasionally escaped from cultivation in North America. First collected in 1886 as escaped along a roadside in Grand Rapids, Kent Co. (C. W. Fallass, ALBC). The leaves are linear or very narrowly elliptic and the stem is ± densely glandular-pubescent in and near the inflorescence. MICHIGAN FLORA ONLINE. A. A. Reznicek, E. G. Voss, & B. S. Walters. February 2011. University of Michigan. Web. 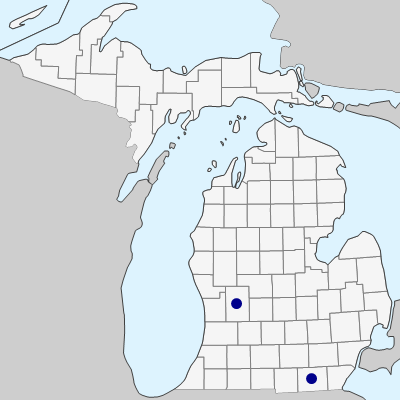 April 19, 2019. https://michiganflora.net/species.aspx?id=1955.